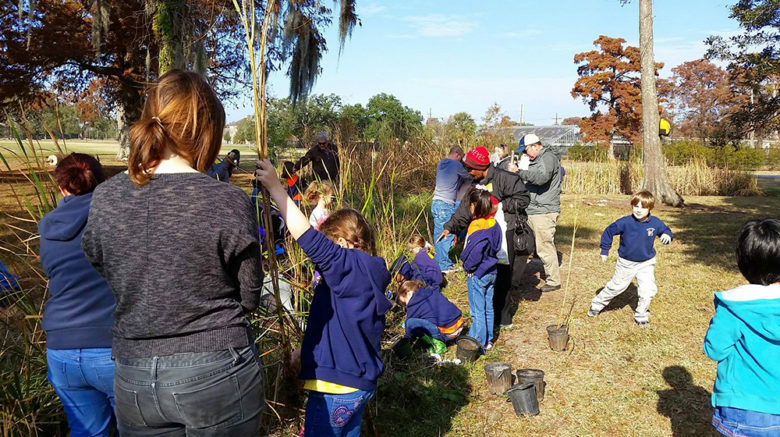 Common Ground Relief provides environmental education programming to local charter, parochial and private schools in Orleans and Jefferson parishes. Programming includes an in-school orientation, work at our nursery and a planting excursion to plant Common Ground Relief grown trees for our community partners. Programming is flexible and can be designed to meet specific timeframes and Louisiana Grade Level Expectations. Download the brochure for more information. This unique, hands-on learning experience is designed specifically for boy and girl scouts throughout Southeast Louisiana. 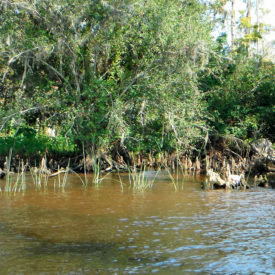 The curriculum will focus on: (1) the science of plant propagation and care at the Native Plant Nursery; (2) hands-on wetlands plantings in Lake Maurepas and Lake Pontchartrain; and (3) monitoring/evaluation of plant growth and water quality. Scout troops will also have the opportunity to design larger-scale planting projects that enhance Common Ground Relief’s existing planting efforts. All activities will be designed to meet the requirements for science, as well as develop problem-solving, critical thinking and collaboration skills. Flying Wild is a youth environmental education program partner that uses birds as its focus.